What happens when (gasp) change happens in a church? Some dig in their heels and refuse to see that change can be a good thing, after all “We Ain’t Never Done it That-a-way Before”. But, what if that change comes with a new fire and passion for Christ and for people? Find out when old meets new in this timeless musical. At one church, hearts and minds started to soften, “Then Jesus Came”! 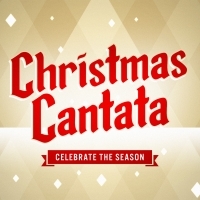 Plan now to attend this year’s Christmas Cantata, on Sunday, December 16 during the morning service. Our children will be joining the adult choir on a couple of numbers and a Readers Theater will tell the story. You won’t want to miss this special service.